Born and raised on Long Island, Jack has always had a passion for the excitement of New York City. After Jack’s graduation from Holy Trinity High School, he moved to Los Angeles where he earned his degree in Business Administration with a concentration in Real Estate and Law from the University of Southern California’s Marshall School of Business. In addition to excelling at his academics, Jack was able to acquire quite the athletic resume as a member and Captain of the USC Division I Men’s Swim Team. During Jack’s tenure at USC, he was an NCAA National Champion, a multiple time NCAA All-American, USA Swimming Olympic Trials Participant, Pac-12 Conference Champion and Pac-12 All-Academic Team member. Following Jack’s accolades at USC, he returned to New York to seek opportunities on par with his true passion, real estate. Today, Jack is a valued member of the Ed Hickey Team and brings a wealth of knowledge while offering a fresh view on the current market. 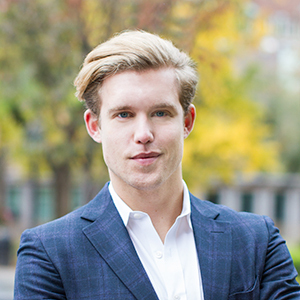 With Jack’s background as a competitive, self-disciplined and goal-oriented team player, he is excited to further develop his expertise and love for the ever evolving New York real estate market. Spectacular waterfront-oasis with a 2 acre private lake complete with sandy beach & infinity pool. Enjoy the quiet setting and tranquil views with family and friends in this 6,237 square foot, 6 bedroom, 6.5 bath residence. This custom built home to be completed by late Spring 2018 boasts an open concept floor plan featuring a wall of glass with views of the lake and beautiful surroundings. The transitional accents, custom cabinetry, millwork, and special features set this home apart. An additional 2,815 square foot finished lower level will be complete with a home theatre, refreshment bar, wine cellar, exercise room, playroom and more! Luxury and serenity close to NYC in a country setting.